In the Guangdong province in southeastern China lies Dafen, a village that houses thousands of workers who paint Van Goghs, Da Vincis, Warhols, and other Western masterpieces, producing an astonishing five million paintings a year. To write about life and work in Dafen, Winnie Wong infiltrated this world, investigating the claims of conceptual artists who made projects there; working as a dealer; apprenticing as a painter; surveying merchants in Europe, Asia, and America; establishing relationships with local leaders; and organizing a conceptual art show for the Shanghai World Expo. The result is Van Gogh on Demand, a fascinating book about a little-known aspect of the global art world - one that sheds surprising light on our understandings of art, artists, and individual genius. Confronting difficult questions about the definition of art, the ownership of an image, and the meaning of imitation and appropriation, Wong shows how a plethora of artistic practices joins Chinese migrant workers, propaganda makers, and international artists together in a global supply chain of art and creativity. She examines how Berlin-based conceptual artist Christian Jankowski, who collaborated with Dafen's painters to reimagine the Dafen Art Museum, unwittingly appropriated a photojournalist's intellectual property. She explores how Zhang Huan, a radical performance artist from Beijing's East Village, prompted propaganda makers to heroize the female artists of Dafen village. Through these cases, Wong shows how Dafen's workers force us to reexamine our expectations about the cultural function of creativity and imitation, and the role of Chinese workers in redefining global art. Providing a valuable account of art practices in a period of profound global cultural shifts and an ascendant China, Van Gogh on Demand is a rich and detailed look at the implications of a world that can offer countless copies of everything that has ever been called "art." 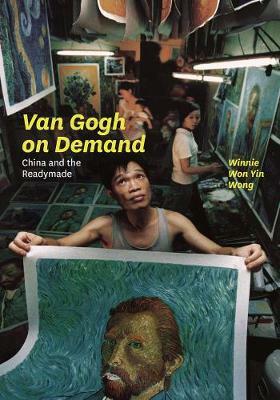 Buy Van Gogh on Demand by Winnie Won Yin Wong from Australia's Online Independent Bookstore, Boomerang Books. Winnie Wong is a junior fellow in the Society of Fellows at Harvard University. She lives in Cambridge, MA, and Shanghai.